The official debut album of Sinclair Soul, a seven song LP entitled The Journey was released in digital format on June 26, 2017. All tracks are original songs composed by Ric Albano and recorded along with international music legends, drummer Ron Simasek and multi-instrumentalist Bret Alexander. 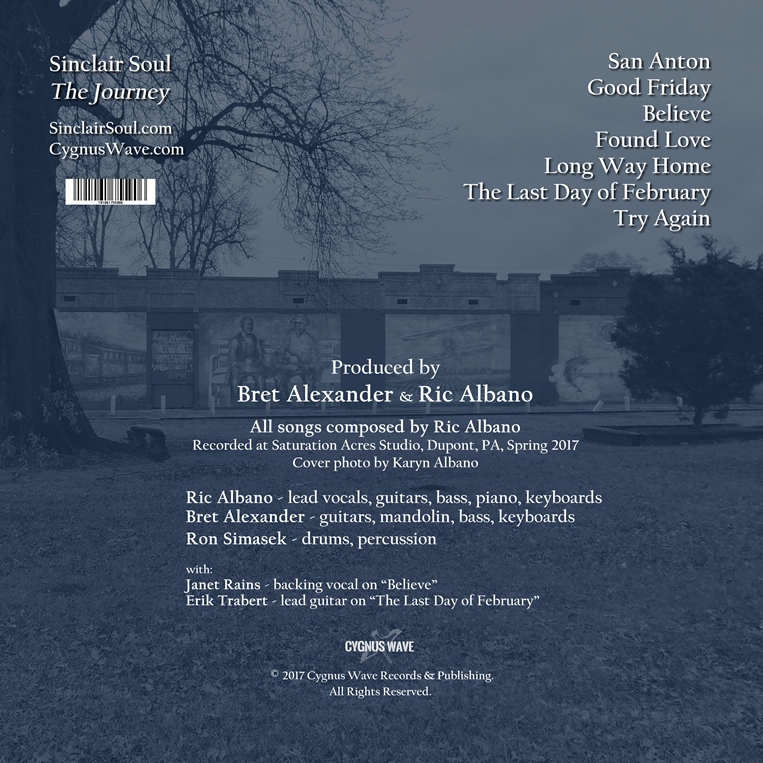 The album was recorded at Saturation Acres Recording Studio in DuPont, PA and was co-produced by Alexander and Albano. The Journey is anchored by three songs written by Albano on acoustic guitar in 2016-2017 (“San Anton”, “Found Love” and “Try Again”). This trio of tracks were recorded in whole in April 2017 and arranged, mixed and mastered by Alexander, an award winning producer and musician with a resume a mile long. The remaining four tracks (“Good Friday”, “Believe”, “Long Way Home” and “The Last Day of February”) are new interpretations of songs composed on piano and previously released on Imaginary Lines 33, the triple-length 2009 album from Albano’s former project. Each in this set of songs were produced and mixed by Albano with Alexander mastering for the album cut. Despite the differing origins of these diverse songs, there are some strong elements which make this album cohesive. All seven tracks feature Ron Simasek on drums and/or percussion and each song is lyrically presented as a “journey” of some kind, a unifying element which ultimately gave the album its title. Musically these songs range from straight-out rock/pop to the fusion of roots musical elements like country, folk, blues and jazz. Lyrically and thematically, these tunes are personal, philosophical, spiritual or a blend of all three and presented in a way where each can be interpreted distinctly by the listener. Previous to the album’s release, two official music videos have been produced for the songs “Found Love” and “Try Again“, with a third video for the opening track “San Anton” planned for release in July 2017. As for the future, there are some ambitious plans in the works for Sinclair Soul during the latter part of this decade. These include two new releases in 2018 and another major release in 2019. Please visit our Patreon page to help support the production and distribution of quality original music. 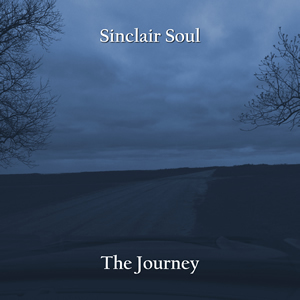 Thank you all for your support of independent music and please spread the word about The Journey by Sinclair Soul! Other media outlets where The Journey will be available include 8tracks, Akazoo, Anghami, Apple iTunes, AWA, Deezer, Google Music, Great Indie Music, Groove, iHeart Radio, iMusica, K Digital, Kuack, Line Music, Pandora, Rhapsody (Napster), Rumble Fish, Shazam, Slacker Radio, Spotify, Tidal and YouTube Music.